This project was all about going with the flow! As life changes… so must your home. I met this lovely couple a long time ago when they were ready to remodel, but before they decided to have children. The original game plan included enlarging their one story home, opening up a few walls, and updating finishes. 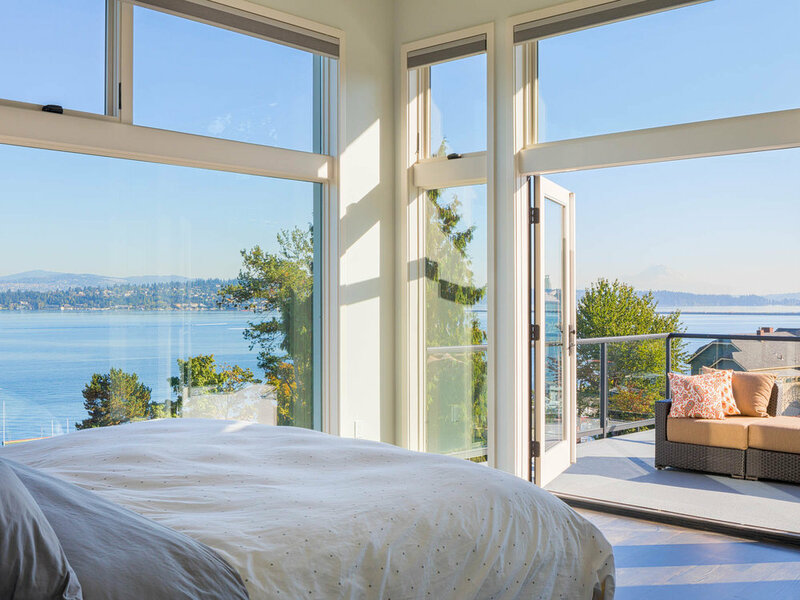 They wanted take advantage of the limited view as much as possible, given their neighbor’s home was cozied up to their property line and partially blocked Lake Washington. Once they were expecting a son, we put the brakes on the one story remodel, redesigned, and permitted a two-story addition. 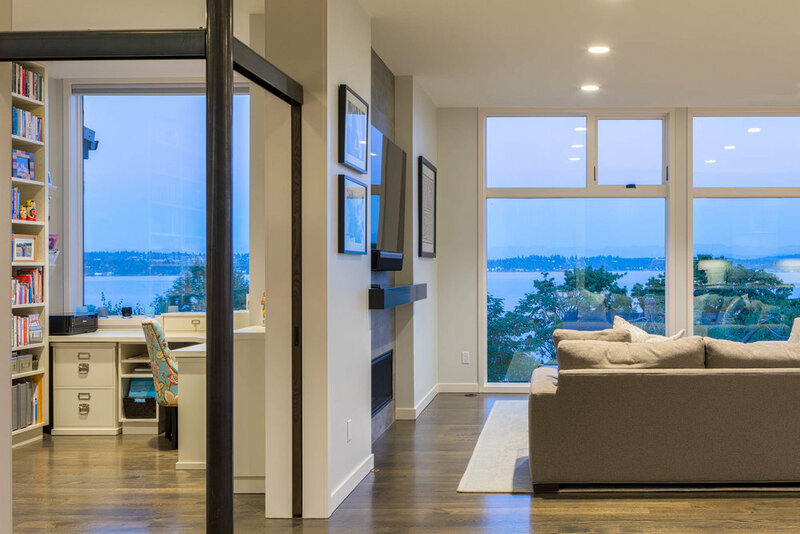 The second son surprise, along with the sudden ability to purchase the neighboring house put another interesting twist on the design and site plan. With views from almost every room, a fantastic yard for the kids to play in, a bright Kitchen open to both the Living and Dining rooms, and a Master Suite to die for, they truly made this their “forever” house once and for all.